Juventus are willing to cough up €45 million to secure the services of Real Madrid's Marcelo, as per reports in Italy. However, according to AS, Los Blancos are not ready to lose the Brazilian superstar for anything less than €70 million. Marcelo is currently the most valuable left-back in world football alongside Barcelona’s Jordi Alba. 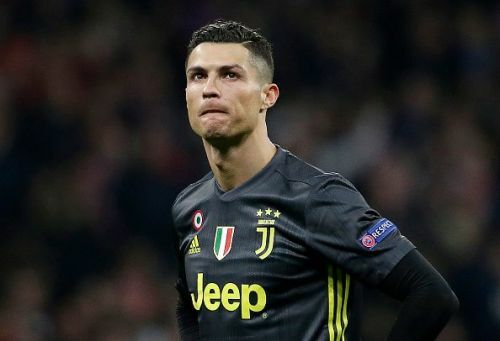 The 30-year-old has been terribly affected by the departure of Cristiano Ronaldo in the summer transfer window of 2018. Since then, reports linking him with a move to the Serie A club continue to float around, though he dismissed the speculation in an interview with Madrid in September. “I am very happy in Madrid, people know that it is my home. I still have many years left on my contract and I am very happy here. I've seen a lot of nonsense, but as I said, I'm excited like Vinicius, as if I were 18 … I will stay here until the end,” said the defender. Marcelo, along with a number of Madrid stars, has seen a considerable cut-down in his playing time since the takeover of Santiago Solari. The Brazil international has lost his starting place to the 22-year-old Sergio Reguilon. Similarly, he has also been under fire owing to his poor form this season, which has also been viewed as a major cause of Madrid's troubles of late. Consequently, there's no denying that Marcelo is presently looking for a move away from the Bernabeu, with Juventus being his most probable destination. AS are a Madrid-based outlet and it seems obvious at the moment that Real Madrid are finding it hard to hold on to their star players. Marcelo has been instrumental in Madrid's triumphs of late and is undoubtedly one of the stalwarts of the Spanish giants. His desire to bid adieu to the Santiago Bernabeu faithful is a wake-up call for the club's hierarchy. Still, it remains to be seen if Juventus are prepared to fork out such a hefty amount for an aging left-back.